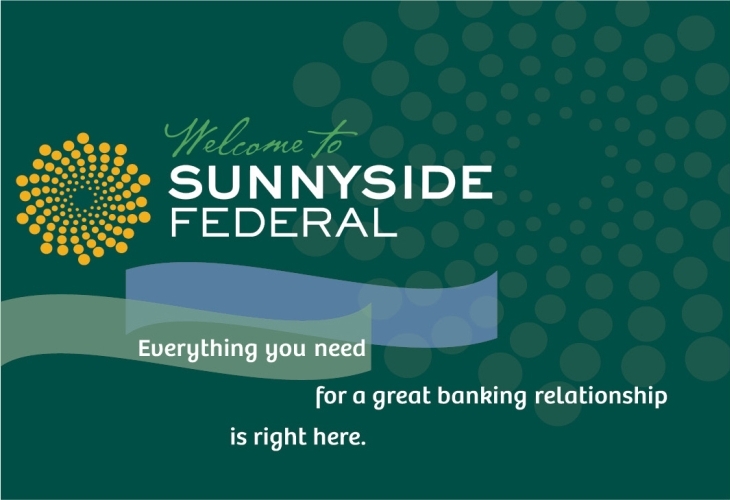 We brightened up a neighborhood institution, Sunnyside Federal Savings on Irvington’s Main Street, with this sunny “fractal,” a geometric form made of many parts, like the community of customers who bank at Sunnyside. Bank here with us! Banners featuring photos of local friends and neighbors hang in the windows on Irvington’s Main Street. Friendly greeting: This sign welcomes customers to the bank. The website features a changing, seasonal display of photographs of iconic and historic sites in New York’s Rivertowns, including the Tappan Zee Bridge. 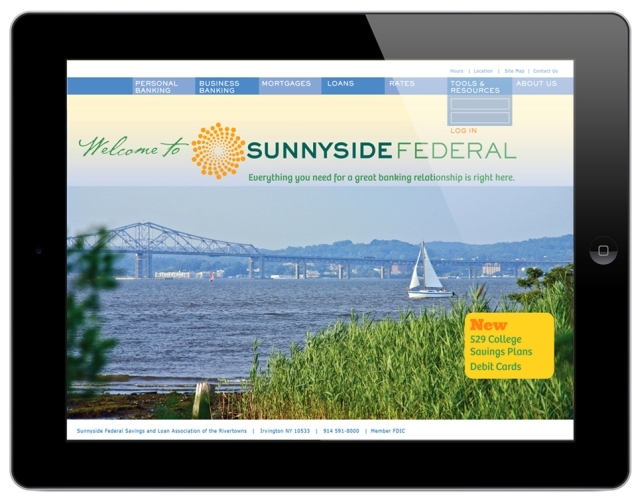 Welcome Kit: Brochures demonstrate how Sunnyside can meet the needs of business and personal banking customers. One brochure greets prospective homeowners moving to the Rivertowns. 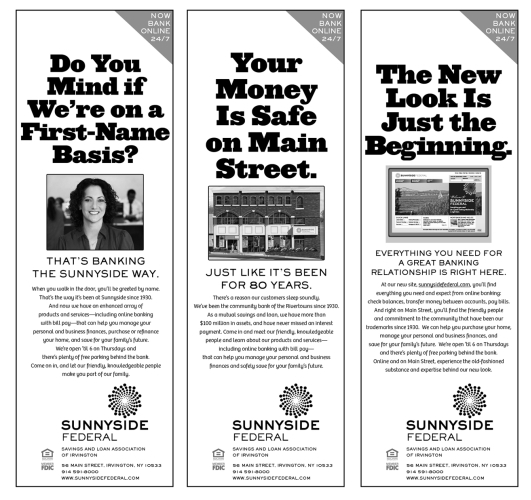 Half-page ad campaign in the local papers re-introduced citizens to their neighborhood bank. 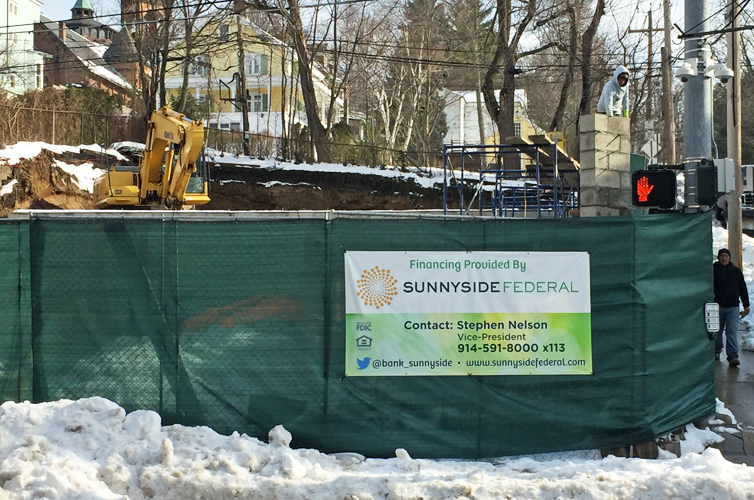 Out in the world: The now-familiar Sunnyside brand proudly identifies financing for community projects, here on Main Street in Dobbs Ferry, NY.